For questions or more information about any of our products and services, please email or call us at 877-843-0183. As convenience store design consultants, we are pleased to provide convenience store design, walk in coolers, and so much more! Beacon II Smart Controlelr is an optional system monitoring and programming control device. It allows for adjustments to be made at the push of a button from a conveniently mounted location. 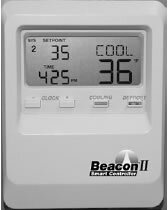 The Beacon II Smart Controller also allows you to monitor and make changes to the refrigeration system via modem connection from anywhere in the world. The Beacon II has been update to allow the user to make even more precise adjustments than original Beacon’s Smart Controller. One Smart Controller can program and control up to four separate condensing unites with up to four evaporators on each system. That’s more control in yours hands! Beacon II Smart II Software makes it easy to adjust and monitor one or more refrigeration systems as well as capture minute by minute system conditions. This WIndows-based software allows you to connect to the Beacon II Smart Controller from anywhere in the world to monitor the sysytems, make adjustments and log minute by minute system conditions. This data logging capability is critical in the food service industry. 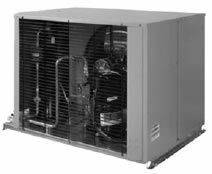 Beacon II is the next generation of Climate Control’s patented, preassembled, factory installed refrigeration system featuring an integrated microcomputer-based electronic control board. The Beacon II systems come completely factory installed, wired and tested saving you time and money. Monitors and controls box temperature, evaporator superheat, condenser fan cycling on two fan units, system status and defrost from outside the box. E Solutions branded products and options are designed to exceed current energy and environmental standards. It is our commitment in environmental innovation to dedicate ourselves by delivering energy efficient eco-conscious choices. Products included in the E Solutions portfolio reduce costs, improve bottom lines, and enhance equipment performance and service life. The Beacon II Refrigeration System with Smart Defrost and the factory-installed Smart Defrost Kit are E Solutions options that will optimize your savins and increase energy efficiency. The Smart Defrost Kit (SDK), available as a factory-installed option or as an aftermarket retrofit kit via InerLink Commercial Refrigeration Parts, is a control module that can reduce the number of defrosts by up to 40% on a typical commercial refrigeration system. This reduces energy consumption and costs. The Beacon II Smart Defrost, available only on the Beacon II Smart Controller, enables the Beacon II system to sence frost accumulation and initiates defrost only when it is necessary. To begin, preset defrost times using the Beacon II Smart Controller. At each scheduled defrost time, Smart Defrost checks system performance to see if a defrost is necessary. If not, it simply does not defrost, waiting until the next scheduled defrost time. 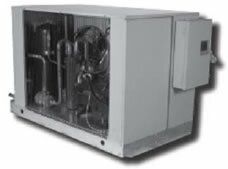 We stock an array of Medium and Low Temp Hermetic Condensing units from .5 HP to 6 HP Scroll Lowtemp Units Single and Three Phase available for Same Day Shipment!! All units are completely leak tested in a helium environment, bump tested and allowed to cycle off on the high and low pressure control. 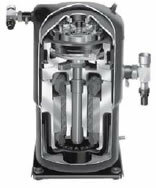 Discharge service valves come standard on all units including hermetic.